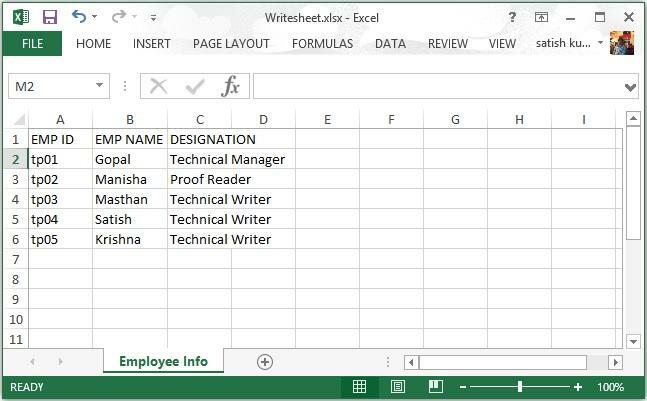 Sometimes it is necessary to Import Data from Excel Sheet into MySQL Database using Apache POI, and this can be done by different API’s provided by different companies, two of which are jExcel and the Apache POI. The two API’s are the most commonly used in Software Engineering to import an Excel sheet into a database. But jExcel has a downside; it can only read data from Excel 95, 97, 2000, which makes it very limited. Apache is broader and has a larger support as it is managed by a known Company (Apache Foundation). The wonderful thing about the Apache POI is that it can read from Word, Powerpoint, Excel etc. documents. The only advantage jExcel has over Apache is its lightweight nature. the system then uses the for loop to iterate through the rows and columns, converts each value to a String and assigns the values to the ArrayList earlier created. The system them clears the ArrayList and performs the same action for another row. Unfortunately it doesn’t work with me, could you please post the full java file(s)? I get the “Import Complete” message but then when I check the database I see that nothing is inserted.